Switch SP? Game Boy Classic? What do you want from Nintendo's next dedicated handheld? Compared to the Wii U, the Switch is doing fantastic, with the fastest selling Smash game of all time, plenty of broad-appeal 1st party hits, and 3rd party support the likes of which Nintendo hasn't seen since the SNES days. On the other hand, the console is poised to fall short of meeting its initial sales target of 20 million sold in fiscal year 2018. That's particularly bad news seeing that the 3DS is essentially running on fumes at this point, and that outside of Pokemon Go, none of Nintendo's mobile offerings have gone on to be market leaders. More than anything, Nintendo must want to return to the Wii and DS days, when they had the two most popular consoles on the planet, each with an install base of over 100 million, and an attach rate of +10 games per system owner. Of course, achieving that probably isn't possible for anyone anymore. The market is nothing like how it was 10 years ago. The new generation of "gamers" logs onto Fortnite and Minecraft on phones and tablets daily just to hang out with friends and pass the time while keeping Facebook, Youtube, and their homework open in other windows. They don't necessarily see the point of traditional story-based or high-score-focused games, let alone traditional game consoles. That's probably why Nintendo collapsed the portable and home console markets into one with the Switch. As the system's success has shown, putting all their eggs in one basket was the best way to hatch success across the board. That said, there is no way Nintendo is going to rely on just one console and a smattering of mobile releases for long. Here's a few ideas on what else they might have cooking. Insider speculation so far has leaned heavily towards Nintendo releasing a smaller, more durable, cheaper Switch that will be more akin to what the 2DS was to the 3DS than being a substantial upgrade or revision. Fact is, a lot of people bought a Switch because they wanted a successor to the 3DS, not the Wii U, and on that front, there have been disappointments. 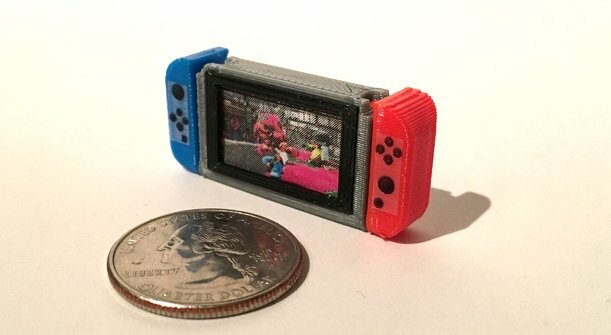 The Switch is an amazing handheld, but it's not a great portable. Accidentally dropping it even a few feet can spell disaster. Carrying it in your pocket is impossible for anyone but the most diehard JNCO aficionados. The detachable Joy Con for local portable play is a fun party trick, but for many, it's not worth the loss of a real d-pad that comes with it. All those issues could be rectified with a new Switch model which, in theory, wouldn't cost Nintendo the same level of R&D that a brand new system would, but could still bring a brand new customer base to the table. After the runaway success of the NES Classic and SNES Classic plug-and-play consoles, many took it as a foregone conclusion that a N64 Classic would be next up to bat. I've always thought that was unlikely. 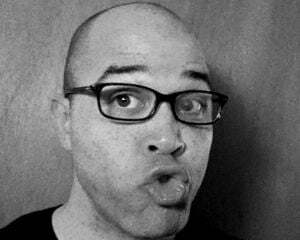 Regardless of what Legend of Bum-Bo co-creator James Id may tell you, that library of games just doesn't play as well with current day consumers as the older stuff does. That's not even getting into the fact that the controller is, by modern standards, a bit of a train wreck. The Game Boy, on the other hand, is whole other story. Nostalgia for the console has run wild of late, with the indie market packed to the gills with 2-3 color games that ape the original system's minimalist display. There's also the fact that if you walk things up all the way to the Game Boy Advance, you have unlocalized favorites like Mother 3 to work with. Star Fox 2's inclusion on the SNES Classic is what pushed it from a "I'll pick it up if I stumble upon one at Target" to a "I'm going to camp out in the pre-order line" purchase for many. 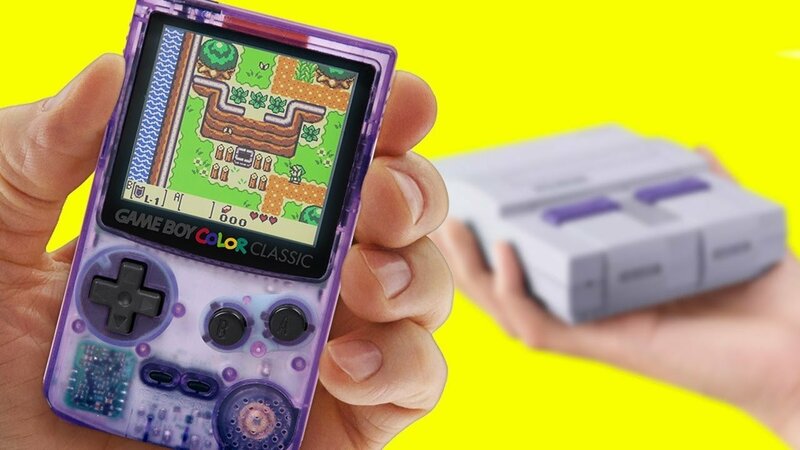 This hypothetical Game Boy Classic wouldn't really be a Game Boy if it wasn't a self-sufficient portable as well, but I'm expecting Nintendo could do plug-and-play-meets-portable hybrid, like SNK did with their Neo Geo Mini, without too much issue. If they were really smart, they'd also make the console compatible with Nintendo's Switch Online service and its library of "free" retro games. They'd be a great fit for the Game Boy brand, and giving people a new reason to subscribe certainly wouldn't hurt. The Switch SP and the Game Boy Classic are the expected moves for Nintendo to make next, but there was a time when the only thing one could expect out of Nintendo was the unexpected. Many have worried that those wild, inspired days ended with the passing of Satoru Iwata in 2015, but I have hope that his spark still lives in the company today. 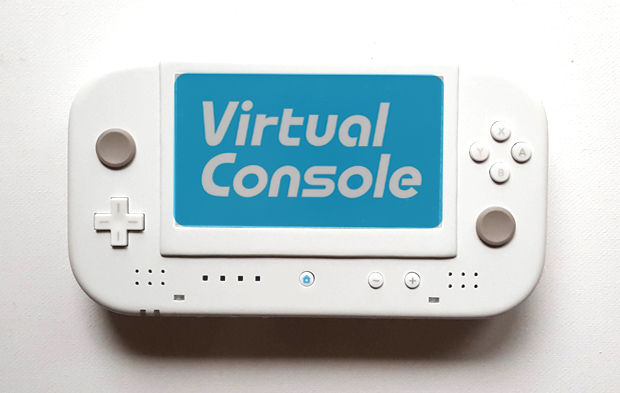 Not only would a dedicated handheld Virtual Console/Subscription service player come out of left field, but it would speak to the current day needs of the market. The days of people wanting a console for their TV and a separate one for their pocket are more-or-less over. Instead, the split we see today is between retro, arcade-like experiences and massive, life dominating behemoths. 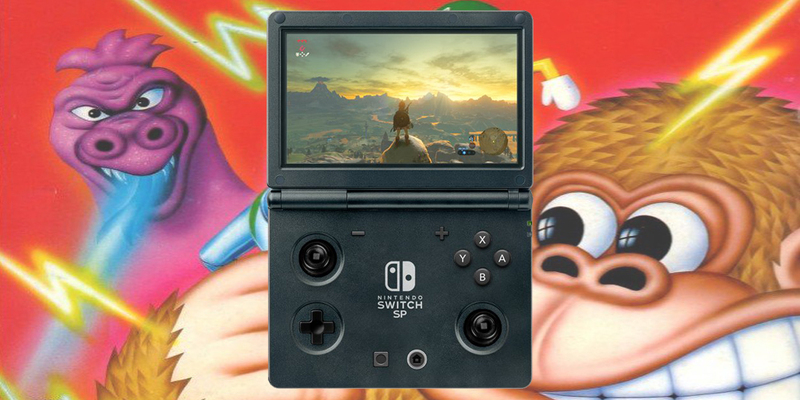 A cheap, download-title only handheld that curates nothing but the best retro games, and modern games in the retro vein, could be the perfect companion to the Switch. Jackson Snowden's homebrew Wii SP console does a lot of the same stuff I'm taking about. In my dream scenario, this Virtual Console Player would combine the best of both the Switch SP and Game Boy Classic concepts. Price it at $99, make it compatible with the bulk of the Switch eShop's smaller games, as well as offering unique Virtual Console services for the thing, and Nintendo's mobile titles as well, and you have a true must-have system for folks who don't want to go all in on a time sink like Breath of the Wild or Mario Odyssey, but do want a little bit of low-cost Nintendo in their lives on a daily basis. But enough out of me. What would you want out of a new dedicated handheld from Nintendo?